Every class will essentially be a mini workshop with a duration of 1 hour and 50 minutes. Each class will have a one hour yoga component followed by a short break and then flowing into a 45 minute meditation. Carole also offers private yoga and meditation sessions. Please contact her for price and time available. Carole's spiritual awakening began on a trip to Bali in the year 2003. At the time, much like everyone else around her, she was fixated on getting the newest and best gadgets, best job, best managerial title, stuff, stuff and more stuff. Carole surrounded herself with the best things her life could afford to buy, thinking that this was happiness. The reality was that her life was empty, void of purpose and frankly just felt obsolete. Until the winter of 2003 Carole and her husband, Grant traveled to Bali, Indonesia. It had been on their bucket list...Carole was searching for happiness elsewhere. She found happiness...but not her own. Carole found that the Balinese are very happy ,and grateful people with so little to show in material belongings....this way of life shocked her, and struck a cord in her soul...and hence the beginning of her spiritual awakening. "I am not a guru, a nun or minister. I have no theological training. I do not practice any religion. My beliefs are that light is love. Love is infinite. I am light, light as a feather, light as an angel, light within, light without. The universe resides within me and I am in the universe. I am simply a snippet of something so vast, so great, so incredible. I just am! I am one, one with the universe, one with each other. You and I are no different as we come from the same light. Everything on this earth has spirit as we are all creation, creation of vibration. We are divine. We are LOVE!" Together we can travel side by side on a journey of spiritual awakening through the tools I have to offer you by way of Yoga, Ayurveda, Meditation, Drumming, Chanting, Sound, Reiki, Angels, Essential Oils, and Spiritual Wisdom. Together we can learn from each other, and awaken the best teacher, which is in each of us. You are the teacher, the light, the universe, the mind, the body, and spirit. We can walk together along your journey to assist you in becoming the best version of yourself. This would truly be an honor. Carole has spent the last 25 years practicing yoga. At the age of 50 she decided that it was time to bring yoga into her body, and forget about trying to put her body into yoga. 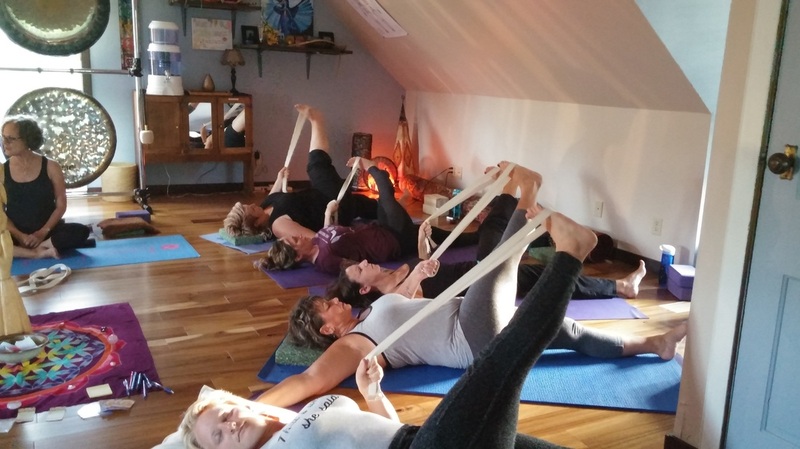 Carole completed her 300hrs + of training with Liane Charette from Source Yoga. The style of yoga is called Vinyasa Flow. Carole continues her training in Ayurveda with Purnima Chaudhari in order to incorporate the two sides of the coin to her students. Carole continues to teach at the Calder House through private lessons, individual retreats and group retreats. She taught 2 years at a beautiful yoga studio in Steinbach where she shared her wisdom in an "Intro" yoga class and Yoga Nidra. She has also taught private lessons for clients with depression, PTSD, and prenatal. 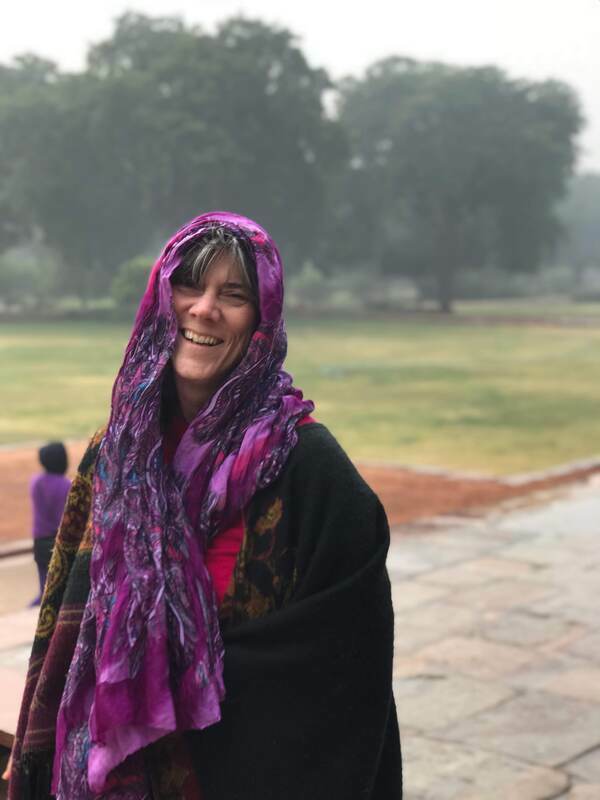 Carole's approach to yoga is from a spiritual perspective, and will bring her teachings of the WHOLE body, mind body and spirit into her workshops. Carole has spent the last 10 years practicing different forms of meditation from Sudarshan Kriya, yoga, drumming and chanting. The most important message that Carole wants to impart to you is that meditation comes in many different forms. The goal of meditation is to slow down the mind enough to "listen" to something greater than self, to connect, to go inward, to become present. You don't need any materials to quite the mind. Open your mind to exploring the different ways you can attain silence within through formats such as nature walks, chanting, drumming, sound, pranayamas, dancing, doodling, coloring, guided, visualization, cooking, and breath. Circles are a special time to join in as sisters, as we share, listen, support, journey, drum and dance together. Celebrating our divine feminine qualities, rejoicing, re-connecting as to our true selves.